Many congratulations to our first group of students to have taken their BIAAB Award for Personal Licence Holders course. The students, all studying on the International Hospitality Management BA(Hons), achieved amazing results and now have a great addition to their CVs as a Personal Licence is required by anyone authorising the sale of alcohol from a licensed premises. Pictured left to right are Ilaria, Luke, Matthew, Cheri, Dylan and Vicky who will be making use of their qualification on their upcoming placements. 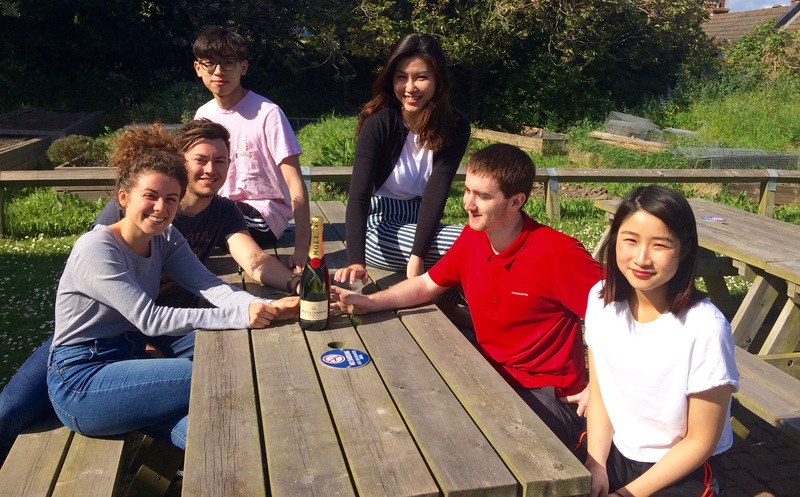 Luke, Ilaria, Dylan and Vicky have a double the reason to celebrate as they have recently passed their Level two Wine and Spirit Education Trust exams with flying colours too! This entry was posted in Hospitality by Kerry Burnett. Bookmark the permalink.